Can't help but grin at that description. Litre class but, "fantastic 'little' bikes." But I know what you mean. Nice all rounder that doesn't fall into any specialist category. I friend of mine have the older version 2015 I think which I believe has the better suspension. Maybe ride all of them and see which one do you like best. Personally I love the look of them. If I ever buy a Boxer again this will be it! The only thing I will change is put some Karoo 3’s on. In all honesty I would buy the one with best suspension, the engines are the same, if not tuned slightly different and perhaps diff gearing. Not sure. Seating and riding position on the scrambler suits me just fine, as I enjoy the more upright style of riding. Ride them all if you can and pick the one that feels the best, wish I had done that... off road, the scrambler is potentially the most uncomfortable bike I have ever ridden, or maybe I am just soft. Granted I have not spent time fiddling with the preloads etc. I drove both.......I'm a BIG Ducati fan! I'm on my 3rd Ducati Multistrada. I was ready to buy the Ducati Scrambler before I took the R9T for a spin! My Multistrada is in the Market........ I love the R9T, it's the coolest bike I ever had. It's comfortable in town, nippy and just awesome!! BMW 1200 Adventure - Sold Ducati Multistrada 1200 - Happy!! I bought the R9T Urban GS in October. and it would be unfair to the bike to critique too much at this stage. I admit I find the suspension a little firm and harsh so far. I have fitted 20mm bar raisers already which greatly improved the riding position to my taste. I LOVE the sound of the OEM pipe on the freeway ! This is going to be my Sunday outing bike so off-road handing is not critical to me. I do find the limited lock-to-lock on the steering a limitation when parking it. 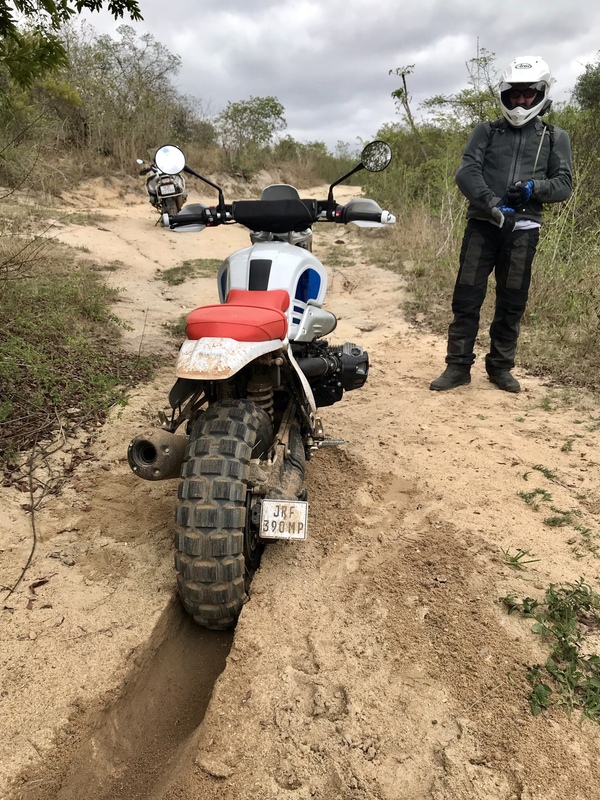 My 1981 R80G/S spoils me for tight handling on dirt. Thank you to all for the valuable input - this is the type of info I have been looking for. I am looking for purely a Sunday bike - ok maybe a few extra week days as well........ mabve some light commuting, but I must be able to kinda comfortably take my goose on a 60-100km ride without loosing half my stuff by the time we get home. 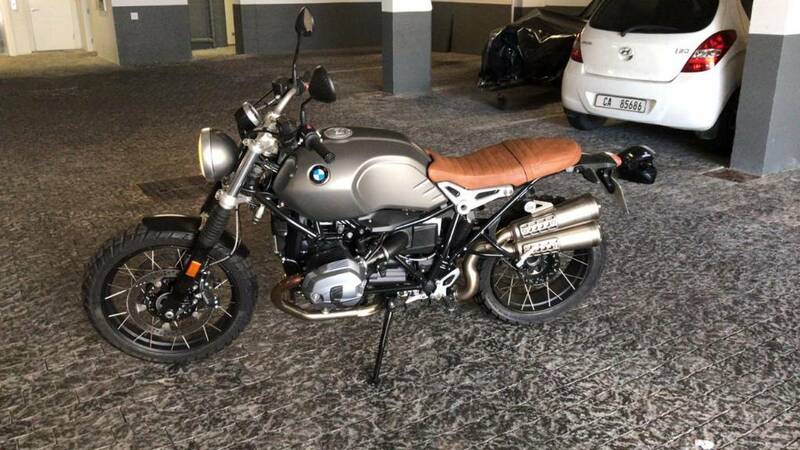 BMW said the bike is pillion capable but not pillion friendly. 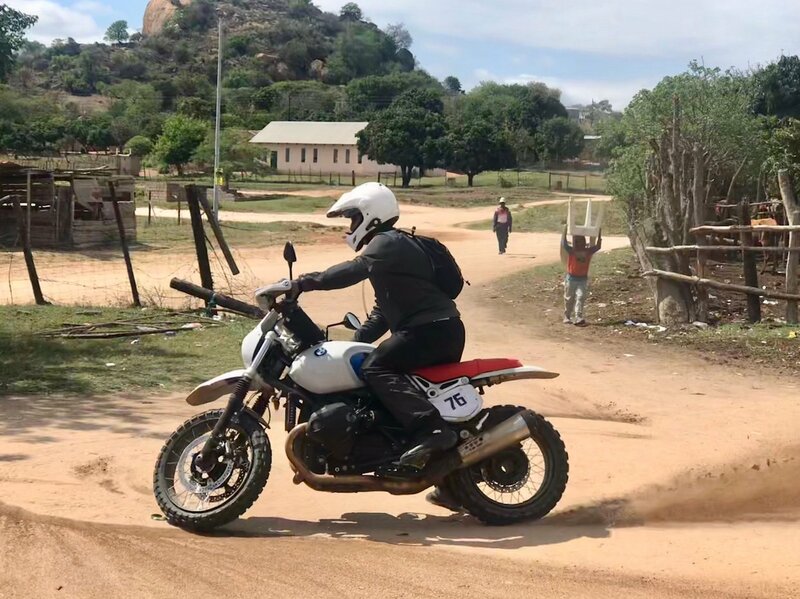 I have my 690 for riding light technical stuff, so I am not looking for an off-road bike as such, but something that makes me smile at the looks and the ride. I like the retro look of the R9T and the fact that that it is kinda new-ish tech. And that I can touch the ground with both feet, which doesn't happen often. Very nice coffee shop bike. Would not mind having space for one.